From helping us reach the top shelf to encouraging us to reach for the stars, there’s nobody in the world quite like Dad. Don’t let his efforts and love go unappreciated! On Sunday, June 17, treat him to the best Father’s Day yet and remind him how much you care. 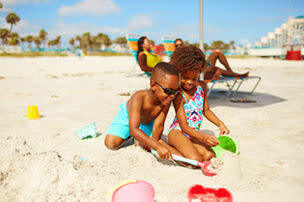 Whether he’s still fumbling the diaper cream or has kids with kids of their own — Dad deserves a beach break. Give him a weekend off “dad duty” and escape together to a golfing and fishing retreat. Or spending time together as a family may be the best gift you can give him. 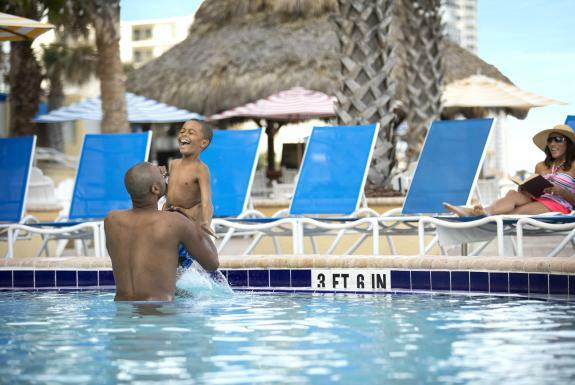 No matter if you are planning a vacation for your own father, your husband or the father figure in your life, Daytona Beach has just the answer you need. With a wide variety of accommodations and endless adventures for all ages, it’s sure to be a weekend getaway that Dad will never forget. Looking for ideas for the perfect Father’s Day itinerary? Keep reading for a Dad-approved vacation from the daily grind. 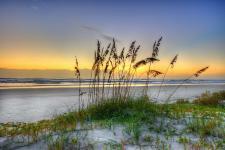 Enjoy an early-morning breakfast overlooking the Atlantic Ocean, followed by pier fishing. 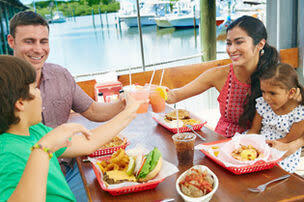 At the edge of Sunglow Pier is Crabby Joe’s Deck & Grill — the perfect place to kick-start all of your Father’s Day fun. Starting at 7 a.m., you, Dad and the whole family can savor a delicious breakfast on the open-air deck while surrounded by a salty beach breeze. After you eat, you won’t have to walk far to locate your next activity. Right there on Sunglow Pier, you can easily rent a rod, reel and bait before casting your line right off the pier. Dad may only catch peace of mind — and that’s perfectly OK.
Catch a few Z’s on the beach. The perfect way to recharge after a morning of fishing is to take a brief snooze on the warm sand. With 23 miles of expansive beaches to choose from, Dad will have plenty of room to set up beneath the shade of an umbrella and recharge. 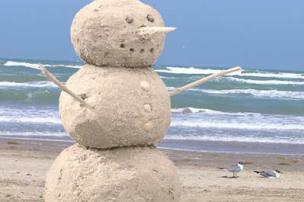 Be sure to bring plenty of sunblock! 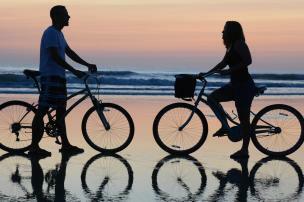 And if Dad is feeling like he’d rather stretch his legs than sleep, consider going for a family bike ride on the beach. The wide beaches here mean that you won’t be constantly be dodging piles of people and beach towels. Don’t want to load up and bring your own bikes? Not to worry — there are lots of nearby bike rental shops. Go on a paddleboard excursion in the late afternoon. Once Dad is refreshed and renewed from being at the beach, it’s time to gear up for the next adventure. One of the best ways to explore the Daytona Beach area and see Florida’s wild side is to rent a paddleboard or kayak and hit the water. There are so many creeks, inlets and waterways to explore, it can be hard to know where to start. Check out this post on the eight best places to kayak to get a good grip on your options. Does Dad crave more of an adrenaline rush than peaceful paddling has to offer? Crank the fun up a notch with a jet ski rental! Dine on the riverfront as the sun sets. All of that adventuring is sure to stir up a hungry appetite. Wind down after a day of fun by refueling at a local restaurant. 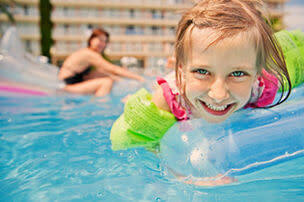 The Daytona Beach area boasts a number of waterfront restaurants with menus to suit every taste. Some of the best meals in town are served with a side of sunset over the Halifax River. One of these top five Daytona Beach riverfront restaurants would be the cherry on top of the perfect day. After dinner, your vacation crew may be wiped out! Whether you head back to the hotel for family game night, or want to rally and catch a live show and explore the Daytona Beach Ale Trail, you can’t go wrong. 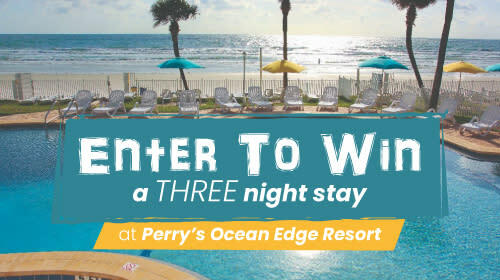 Give Dad the gift of a beachfront getaway — start planning your trip today!